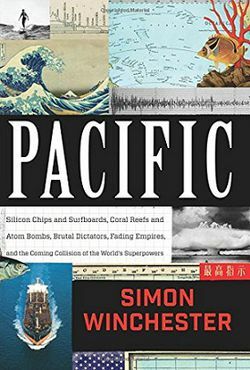 From the best-selling author Simon Winchester comes this account of the atomic tests on the atoll of Bikini, the rise of Surfboards, the digital revolution from Japan to Silicon Valley, alarming discoveries on the Great Barrier Reef. What do these things have in common? The Pacific Ocean of course! He examines geopolitical shifts and climate and how they connect to one another. He gives a personal narrative, recounting his many journeys throughout the Pacific region.